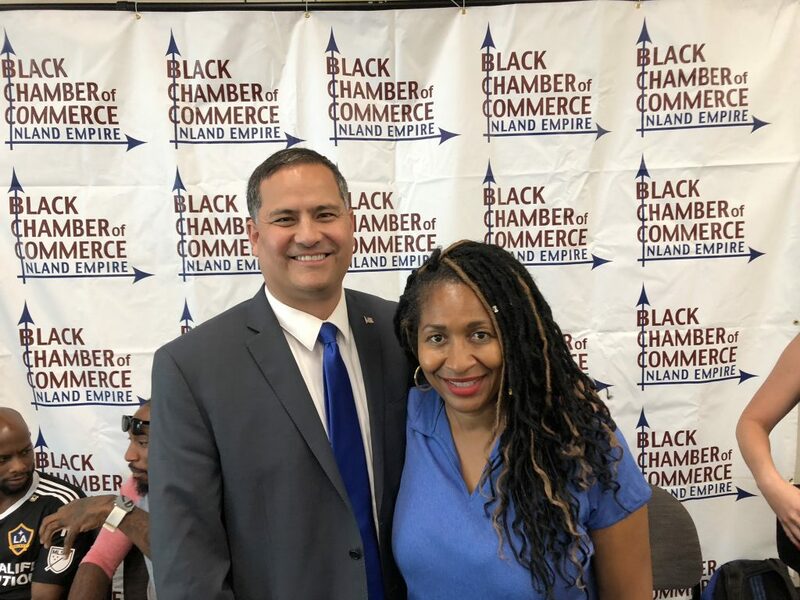 Sean Flynn and Tammi Martin-Riles President of the Black Chamber of Commerce at the Chambers Youth Summit. Inland Empire, Calif., While members of the U.S. House of Representatives do not vote on Supreme Court nominations, I of course take this process extremely seriously. I do not agree with all of his opinions, but I believe Judge Kavanaugh deserves a fair consideration by the U.S. Senate. While I appreciate passion, it was hard to watch certain members of Congress join aggressive protests last night only seconds after the President announced his selection. If elected, my goal would be to dial back the harsh rhetoric, fear mongering and bitter partisanship that has defined Washington D.C. We can debate the merits of this selection, but elected officials should lead by example with regard to tone and rhetoric. This is a contrast I draw in my race for Congress. We have seen my opponent, Congressman Aguilar time and again dip to new lows in his charged and over-the-top rhetoric. The 31st Congressional District represents all or portions of Upland, Rancho Cucamonga, Fontana, San Bernardino, Highland, Redlands, Loma Linda, Grand Terrace, Colton, and Rialto. Flynn is the best-selling author of Economics for Dummies. He is also coauthor of the world’s best-selling college economics textbook, Economics: Principles, Problems, and Policies. An avid martial arts enthusiast, Flynn is also a former U.S. National Aikido Forms Champion and coach.